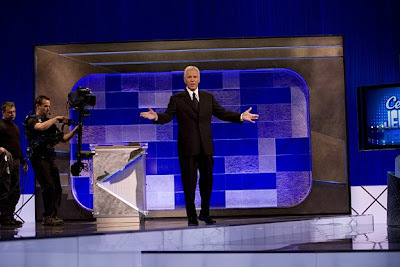 Did a behind the scenes photo shoot on the new set of the TV quiz show, Jeopardy. They were shooting a special edition of Jeopardy, Celebrity Jeopardy, which features celebrity guest at this year's CES in Las Vegas. 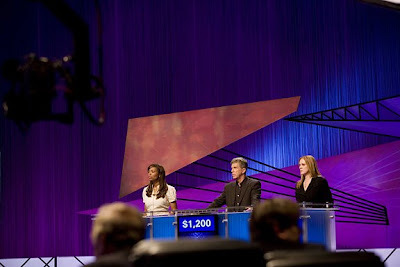 The contestants were Tom Bergeron, Alisha Tyler, and Elizabeth Perkins. The contestants played to win money for their chosen charities. 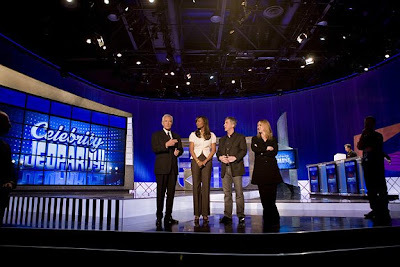 Celebrity Jeopardy will air March 10, 2009, so tune in to find out who wins. This is Jeopardy's 25th year of being on the air.